Angels are pure energy from the heart of Creation. They are bars of pure light energy, but they manifest to us in forms we can understand, traditionally as beings with beautiful wings wearing flowing robes and surrounded by light. However angels can appear in many forms, and some of them have incarnated as humans and walk among us. Angels have been seen and recorded on Earth for thousands of years. They do not belong to any religion although they have been recognised in the writings and stories of several of the world's great religions. This arises from one of their many roles, as messengers from Source. The angelic realms are infinite, and there are infinite numbers of angels and aspects of angelic energy. However, there are some angels who are very familiar to us, mainly those whose names are recorded in ancient documents handed down. Names like Metatron, Michael, Gabriel, Zadkiel, Uriel and Raphael are fairly well known, and more recently we have come to understand more about some of the particular energies and functions these archangels carry. There are many other angels and archangels whose names are not well documented but whose energies are open to us. There is myriad information available on the internet about the better known angels, and so this page will talk first of all about some lesser known angels whom Shabdan and Shastra have encountered in the course of their work. The information will be added to over time. The list will be built alphabetically for ease of reference. The angelic aspect of the Master Lucia ("Santa Lucia"), working on the Ray of Divinity and Joy. She overlights Venice and acts as guardian to a pillar of Divinity and Joy anchored there. Works on the highest levels of the Gold Ray, a powerful and active vibration of love which is strengthening, cleansing and protective. Works on the Ray of Love, holding multiple frequencies of compassion. We need to develop complete self-compassion to help us hold compassion for the world around us. This is one of the pathways to complete acceptance of All That Is. Let Archangel Siroque help you find love and compassion at every inner level. 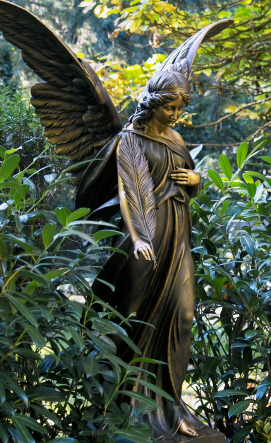 This androgynous angel appears as either feminine or masculine, and was a high-level facilitator for the Ah-Shan point, the moment in 2006/7 when Creation paused between outbreath and inbreath for the space of three full moons and gateways of divinity were opened to enable extraordinary healing to take place on Earth. An action led by Shabdan in 2007 enabled these gateways to remain open, and you can work with them through Archangel Zarasalusalem, particularly if you need help to achieve balance. Works with the energies of transformation and release, scattering rose petals of pure love throughout your healing session.